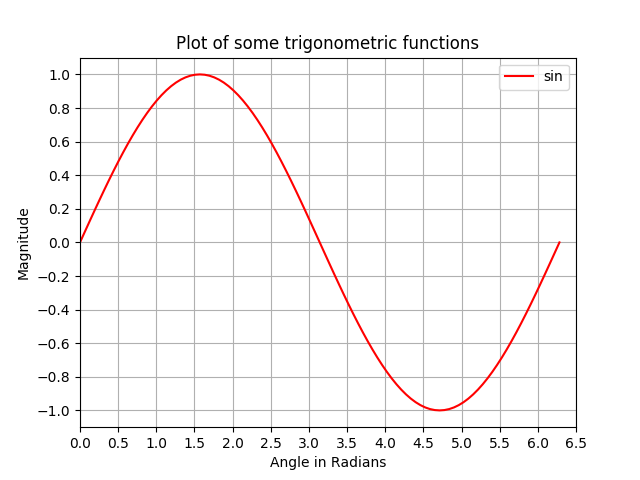 In this example, we take a sine curve plot and add more features to it; namely the title, axis labels, title, axis ticks, grid and legend. 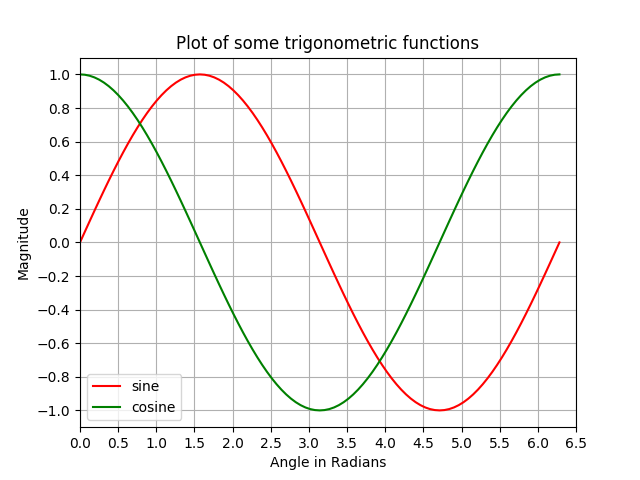 In this example, a sine curve and a cosine curve are plotted in the same figure by superimposing the plots on top of each other. Similar to the previous example, here, a sine and a cosine curve are plotted on the same figure using separate plot commands. 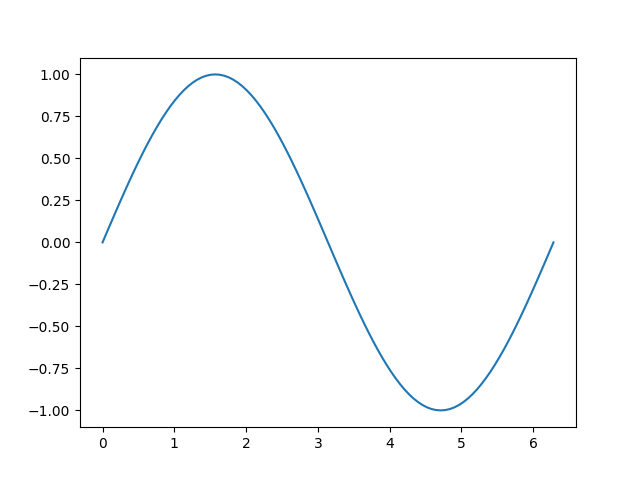 This is more Pythonic and can be used to get separate handles for each plot. 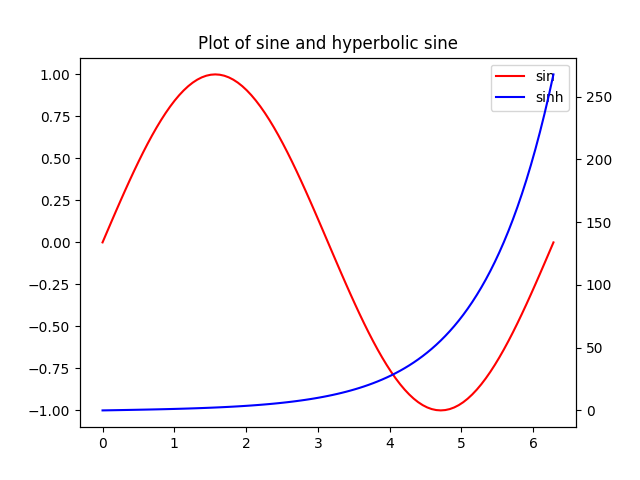 In this example, we will plot a sine curve and a hyperbolic sine curve in the same plot with a common x-axis having different y-axis. This is accomplished by the use of twinx() command. # add legend via axes 1 or axes 2 object. 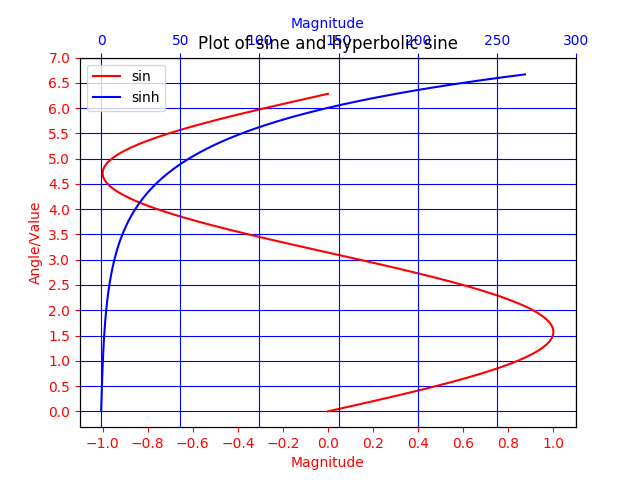 In this example, a plot with curves having common y-axis but different x-axis is demonstrated using twiny() method. Also, some additional features such as the title, legend, labels, grids, axis ticks and colours are added to the plot.